LANDinc studied the West Sector area of Parliament Hill to determine the urban design and feasibility of two new proposed infill buildings for Parliamentary accommodation, including the West Terrace Pavilion and the Justice and Confederation infill building, vehicle screening, material management and underground parking and concourses. The project envisioned the development of the pedestrian and vehicular circulation, and major ecological restoration work with re-grading and reforestation of the Bank Street Valley at the Ottawa River. LANDinc worked closely with Public Works, the Supreme Court, House of Commons, the National Capital Commission, The City of Ottawa, RCMP and FHBRO and other government departments, to drive consensus on design solutions appropriate to site heritage and current uses. 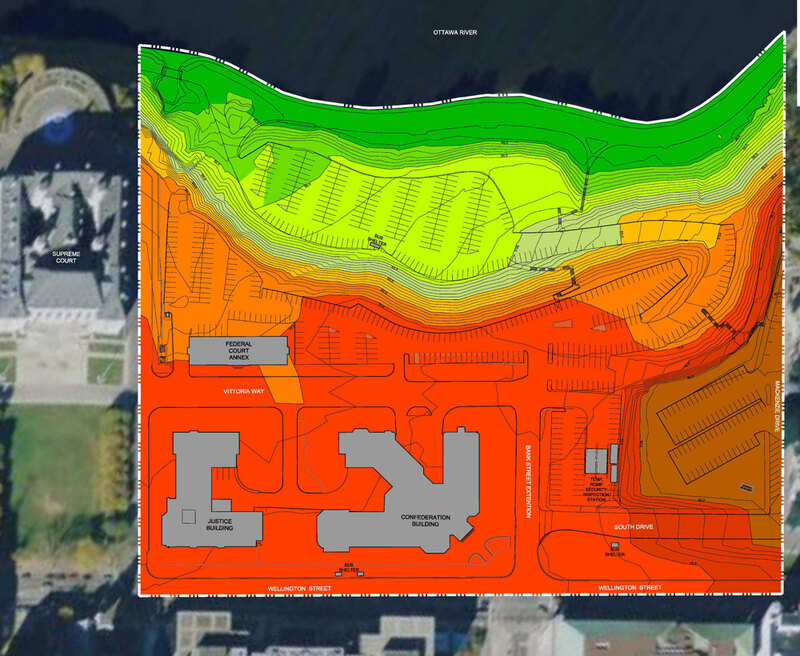 The analysis included gaining a thorough understanding of the capacity of the site, circulation patterns, viewsheds and the crucial relationship to the natural environment and the Ottawa River. The scope included programming for improvements and feasibility including accomodation of parliamentarians, visual analysis and representation, extensive stakeholder coordination, master planning, urban design and implementation planning.